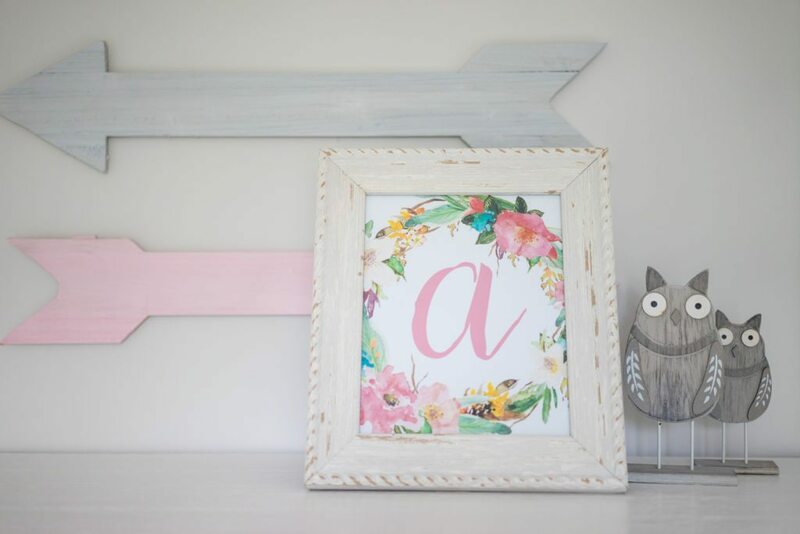 I have yet to show the full nursery reveal for our latest little munchkin that arrived but today I am sharing a free initial nursery printable for you! I had created a few nursery art printables on my own and this free initial nursery printable was one of the last ones that I decided to create as I wasn’t quite satisfied with the one I initially had done. My inspiration for this came from this bunny art that I purchased and printed. I loved the floral print so much I decided to hunt it down so I could replicate it in other art in the nursery. I must admit, once you see the final nursery you’ll notice I’m a little monogram crazy. 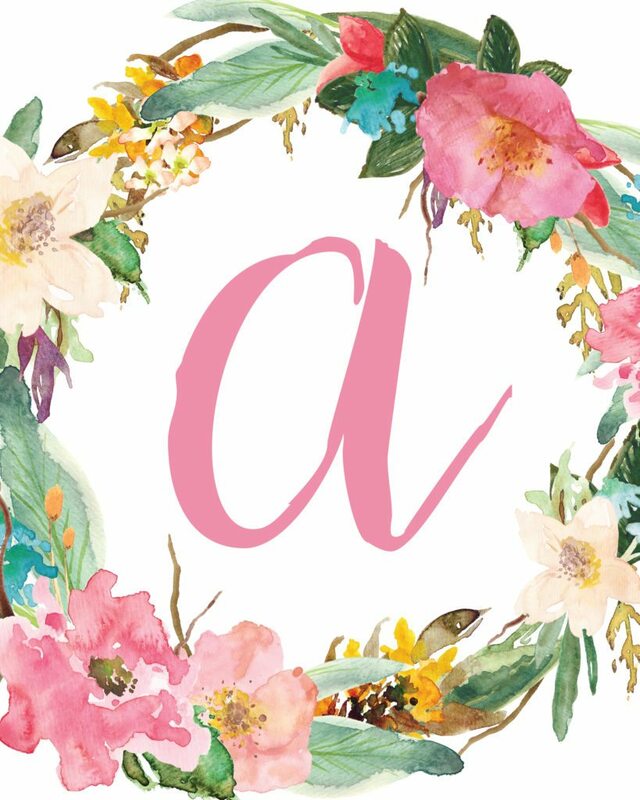 I just simply love the letter A and so I had to find lots of A initial art for her room. This was just that final touch with her initial that I could put up in her room, and it compliments the rest of the art so well! 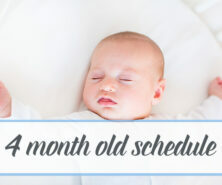 Get the FREE Initial Nursery Printables HERE. I hope you enjoy these free initial nursery printables. Please share them with us if you end up using in your little ones nursery! I would love to see them. Note – these are for personal use only. 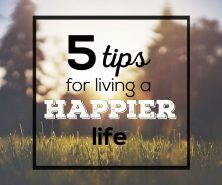 Credit: We have used artwork from Create the Cut to develop these printables. I received an email of confirmation, but no link to download. Jill there is a direct link to the download above – no subscription required to get them right now. Thanks! It isn’t printing to one page. It is doing three separate sheets that won’t join correctly. “fit to page” or change the scale settings. I have tried and subscribed, I couldn’t print my inutials as I couldn’t get on the link. Where exactly is it?